A review by this blogs Rock Reviewer. Brahms's A German Requiem is music of consolation, written to comfort in times of loss. Violence among youth in Chicago has become a central issue within our communities. In response, the Chicago Symphony Orchestra and Chorus and Music Director Designate Riccardo Muti dedicate these performances of Brahms's A German Requiem to the memory of Chicago youth who have lost their lives to senseless acts of violence and to those left behind. Chicago natives David Coleman Headley and Tahawwur Hussain Rana have been charged in federal court for plotting to conduct attacks against a newspaper in Denmark, according to a criminal complaint that was unsealed today at the US District Court in Chicago. Headley was in contact with al Qaeda commander Ilyas Kashmiri and two unnamed Lashkar-e-Taiba operatives. This is going to be one interesting story. Can we think Bush / Cheney reforms for the ability to get these guys before they strike? Or is that a Bush legacy that Obama is not mopping up after? Update: Chicago News Bench will be all over this story. Watch 'em. I will be on the radio this Sunday November 1 Evening from 9pm until 10 pm on WVON 1690AM. You can listen over the internet at www.wvon.com. I will be on with my State Representative LaShawn Ford and Marilyn Stewart from the Chicago Teacher's Union. If you are local, you can also hear me every Sunday from 10 - Midnight on the Garfield Major Show on WRLL 1450AM. It's the old WVON and doesn't power up that far. I am having a booksigning on October 31 at African Accents 5820 W. Chicago Ave from 2 - 4pm- CPT means I'll probably be there until 6pm. I'll be at Marquette School 6550 S. Richmond on November 4 for their Reading Program from 2 - 4pm. I'm having a booksigning on Saturday November 7 at WestSide Coffee Express 314 N Pulaski from 8am until 1pm. Please forward this on to your email list. The reviews for the book have been great and with your help we can turn it into a bestseller. It is the perfect gift for birthdays, Kwanzaa, Christmas, the incarcerated, the shut in and for young children who are in the 6th grade and up. If you know of book clubs, block clubs or church groups where I can make a presentation, please email me and let me know. If Banks so bad, can't Durbin just call Bill Daley and work a deal? Keep the ad going on TV with a donation here. 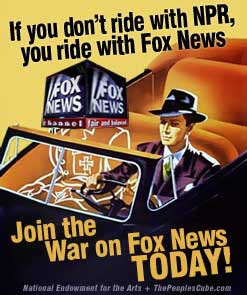 Time's Joel Klein on the Sedition from Fox News. Beginning prior to Blagojevich’s election as governor in 2002, Defendant had conversations with Blagojevich, Antoin “Tony” Rezko, and Christopher Kelly individually and collectively about how the four of them could make money from their control over the State of Illinois government. Those conversations included a number of specific ideas for making money, such as through operating businesses that would get state money or receiving fees from people who did business with the state. As a general matter, Rezko was responsible for trying to set up the money-making arrangements and Kelly and Rezko were the most knowledgeable about how the plans would work. Defendant understood that Blagojevich and Defendant would use their power and authority in state government as needed to assist whatever plans Rezko and Kelly put in place to make money. Defendant further understood that he would share in the money that was made, but that those funds would not be disbursed to Blagojevich or Defendant until after they were no longer in government. Obama's gonna be awfully hard pressed to prove he was the only virgin in the whorehouse called Illinois Democratic politics. Rahm and others close to Obama will be heard on tape working their deals. Sedition of Illinois Government and the looting of Illinois's treasury. Who's going to sound seditious next year? Maybe this all preemptive to derail the freight train headed straight for Obama. Life and history are in the details, and one of the many virtues of this disturbing and important book by the British journalist Jasper Becker is its attention to the small, concrete matters that display larger, more abstract ones in the fullness of their horror and absurdity. ''Hungry Ghosts'' is Mr. Becker's powerful, sober, lucid and sometimes lurid account of what was probably the worst famine in history, the one that resulted from Mao's blindly misguided and ruthlessly enforced attempt to achieve Communism overnight. For the party newspaper to tell people that it was good for them to eat less at a time when it was also spinning fantasies about the bounty being engendered by the Great Leap was a relatively small, if telling, irony. At the larger, horrific center of Mr. Becker's account is the widespread resort among the Chinese people to that most sickening form of desperation: cannibalism, the selling of human flesh on the market, the swapping of children so people could use them for food without committing the additional sin of eating their own. I don't think she knows. I think we're being lead by an illiterate administration. Void of any sense of history. Simple Chicago Democratic ward heelers; counting votes, shaking people down, taking vengeance on any dissent to the Regular Party Organization. Someone's been at work revising Dr Alsammarae's story in Wikipedia with nary a word about Tony Rezko, Rod Blagojevich, or Mr Auchi; or what in the world Dr. Alsammarae was doing at the dinner at the Four Seasons (where the Mayor recently held the violence summit too - popular spot for Obama democrats I guess). Prelude to a comeback of some sorts? أعطني الكلمة. اسمحوا لي ان احصل على القصة. انا رجل عادل ومتوازن. Sen. Daniel K. Inouye, the head of the Senate Appropriations Committee, came out Tuesday in strong agreement with the Afghanistan assessment put forth by General Stanley McChrystal and promised to fully fund any forthcoming troop increase there. The stance of the powerful Hawaii lawmaker is the opposite of his House counterpart, Wisconsin Democrat David Obey. Inouye is also taking a starkly different tone from the Senate Armed Services Committee chairman Carl Levin, D-MI, who has said he opposes sending more combat troops there. But after returning from a weekend trip to the region, Inouye said that his meetings with troops, officials, and military leaders convinced him that the mission in Afghanistan is not only winnable, but should be pursued under the counterinsurgency strategy that McChrystal has called for, which is necessarily troop intensive. Where are the Socialists when you need 'em? "Geithner aides made millions on Wall Street"
Obama administration officials now working on fixing and regulating the financial system were beneficiaries of several million dollars in pay from Wall Street and private equity companies, it has been revealed. Even though some of the officials whose previous salaries were disclosed are senior, many were appointed as “counselors”, meaning they escaped Senate confirmation hearings which could have highlighted their past remuneration and employment at a time of heightened animosity towards the financial industry. Earlier this month the release of the telephone call logs of Tim Geithner, Treasury secretary, showed he had numerous conversations with a number of Wall Street executives, sparking allegations that the administration was too close to the industry. My old Comrade Frank Zeidler would have been outraged to have Socialism sullied by association with this Administration. It's an odd Nobel Peace Prize that almost makes you embarrassed for the honoree. In blessing President Obama, the Nobel Committee intended to boost what it called his "extraordinary efforts to strengthen international diplomacy and cooperation between peoples." A more suitable time for the prize would have been after those efforts had borne some fruit. The Nobel Committee's decision is especially puzzling given that a better alternative was readily apparent. This year, hundreds of thousands of ordinary people in Iran braved ferocious official violence to demand their right to vote and to speak freely. Dozens were killed, thousands imprisoned. One of those killed was a young woman named Neda Agha-Soltan; her shooting by thugs working for the Islamist theocracy, captured on video, moved the world. A posthumous award for Neda, as the avatar of a democratic movement in Iran, would have recognized the sacrifices that movement has made and encouraged its struggle in a dark hour. Democracy in Iran would not only set a people free, it would also dramatically improve the chances for world peace, since the regime that murdered her is pursuing nuclear weapons in defiance of the international community. Announcing Friday that he would accept the award, Mr. Obama graciously offered to share it with "the young woman who marches silently in the streets on behalf of her right to be heard even in the face of beatings and bullets." But the mere fact that he avoided mentioning either Neda's name or her country, presumably out of consideration for the Iranian regime with which he is attempting to negotiate, showed the tension that sometimes exists between "diplomacy and cooperation between peoples" on the one hand, and advocacy of human rights on the other. The Nobel Committee could have spared Mr. Obama this dilemma if it had given Neda the award. I think what's happening in Iran now will be of far greater consequence to world Peace than anything President Obama may do. Iranians are leading a reformation in Islam among Shia and Sunni alike that will be far more enduring and a greater contribution to world peace. Obama should mention Iran and Neda during the acceptance, but the movement's set either way. I don't think it can be stopped. Al Gore questioned on Polar Bears. Bill Roggio links an account of the battle. Also Anthony Loyd on 2 Rifles in Sangin from Times OnLine. What keeps him awake at night is probably much more the question of how he can prevent the Taliban from being in charge in Kabul when he makes his -- undoubtedly very moving -- speech at Ground Zero on Sept. 11, 2011 to mark the 10th anniversary of the terrorist attacks on the World Trade Center. It would not have hurt the Nobel Prize Committee, therefore, if they had decided to put Obama on the waiting list for the 2011 prize, and decided to give the 2009 award to an Iranian blogger or a Chinese dissident instead. Barack Obama would surely not have complained about such a decision. The expression of such intense emotions matters little to our homebred Afghan experts who can be observed spearheading the ‘pullout of Afghanistan’ campaign. The local media also seems to be taking a great interest in the campaign by picking up the juiciest bits from the statements of the now visibly demoralised US generals. The latest proof of this was seen when a leaked report referred to the alarm raised by the commander of US and Nato forces, Stanley McChrystal, calling for reinforcements as he saw defeat staring the troops in the face. The sense of defeatism contained in McChrystal’s report sent shudders down the spines of those in the Frontier who have seen the worst face of the enemy battling the US-led forces. The US might be an ignoble villain responsible for all the world’s woes but it is doing one thing right: keeping the Afghans from fleeing their country like they did during the Soviet occupation and subsequent Taliban rule. Those referring to present-day Afghanistan as an occupied country intentionally neglect this most crucial aspect of the ongoing hostilities and the great sufferings of the Pakhtuns. Pulling out at this stage would amount to handing over Afghanistan to the Taliban, which would undoubtedly force another wave of migration of Afghans and their consequent settlement in the Frontier. This could be the worst imaginable nightmare for the Frontier as the province — teetering and crumbling — is seen grappling with the most decisive moments of its volatile history. In the build up to our invasion of Iraq the Pope said, Whoever decides that all peaceful means available under international law are exhausted assumes a grave responsibility before God, his own conscience and history. (Famously repeated by Tim Russert to SecDef Rumsfeld. See my post here.) Seems to me those advocating we stand down from Iraq face an equally grave responsibility before God. Someone pays the price for foolish pacifism too. Seems it's only the warriors charged with responsibility before God but I have a feeling God brings pacifists to the docket too. History certainly will. 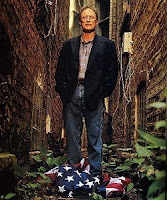 Bill Ayers: I wrote Dreams of My Father. Michelle asked me too. Friend and fellow Chicago Blogger Anne Leary bumps into Bill Ayers at Reagan National Airport and Ayers volunteers this challenge. Well, they are experts at comparing texts out there and while maybe they can't prove authorship beyond a doubt, they can give a pretty good estimate. Dreams of My Father a very different read than Audacity of Hope. One is literature and the other more a quick political job. Ayer's being sarcastic? Maybe, or maybe he's tired of being under the bus. He's not a guy who goes down easily. People forget that it took Ted Sorensen 52 years until May of 2008 to finally admit in his memoirs that he was the real author of "Profiles in Courage" in 1956 and not John F. Kennedy. JFK took all the credit and accepted the Pulitzer Prize for nonfiction in 1957 for a book he did not write and he secretly shared royalties with Sorensen to keep the secret. There are many reasons why Bill Ayers might want his authorship known now including revenge. But this story and others by Jack Cashill might finally stir up some reporters in main stream media to at least intervew Obama's former unhappy book agent who felt she was cut out after all her hard promotion work when the big pay day came for Dreams in 2007-2008. The most interesting part of the Jack Cashill stories to me is that he had hired some scholars to compare the language in passages of Dreams to other books written by Bill Ayers. One example would be the nautical terms and metaphors in Dreams that were never part of the life of Barack Obama but were part of the personal history of Bill Ayers from asmall part of his life spent in the Merchant Marine. The last common sense question for Obama as an author is how come he never published anything--not so much as a single op/ed or a single letter to the editor in public print and then comes forth one year with a full blown best seller? It makes one wonder when so many other writers can offer many examples of their published writing before a first book effort. We know from public sources that Obama had to return and advance from a publisher for a prior book writing effort that flopped. The only published srap with his byline was a poem from his freshman year at Occidental College. One other was a pro-choice article in the Harvard Law Review attributed to him as editor but without his byline. So he had zero history of published writing and suddenly writes a book? Does that make common sense? Michael O'Hanlon in full via Short War Journal. If it's really an Obama\McChrystal plan, call me an Obama supporter. I just wish the Prez would clear time to talk with his Commander more often, and pick up the administrations Battle Tempo. Michael O'Hanlon, Washington Post opinion. Gen. Stanley McChrystal, the US commander in Afghanistan, has come under fire for making public comments about the war. While answering questions after an Oct. 1 speech - in which he avoided taking sides in the policy debate - McChrystal challenged a popular alternative to the approach that President Obama sent him to Afghanistan to pursue. An op-ed on this page Saturday argued that a battlefield commander should not get ahead of his president in public. Next, national security adviser James L. Jones faulted McChrystal for speaking outside his internal chain of command while the president is reviewing his strategy and basic assumptions about the war. Certainly, if given a do-over, McChrystal might make different, more nuanced statements; he was indeed too blunt and impolitic. But the criticism goes too far. The Obama/McChrystal plan is classic counterinsurgency and focuses on protecting the Afghan population while strengthening Afghan security forces and government. McChrystal was asked about a "counterterrorism" strategy that would purportedly contain al-Qaeda with much lower numbers of American troops, casualties and other costs. McChrystal did not try to force the president's hand on whether to increase the foreign troop presence in Afghanistan. The general critiqued an option that is at direct odds with Obama's policy and conflicts with the experiences of the US military this decade. That is not fundamentally out of line for a commander. Michael Yon describing what looks like our unfolding failure and defeat if you stick with the present course: The Greatest Afghan War. If the IOC can tell Daley "NO", can we find 26 aldermen to tell him "no" as well? Well since Chicago can't have the OLYMPICS, can the SouthSide finally get a WalMart? I missed this one last night but Joe Calomino sent me a copy of the comments below. Sign the petition to Gov Quinn asking for an investigation of ACORN and SEIU. We want to reform Illinois politics that's one of the best places to start. I think it’s important that you know, last year AFP exposed SEIU in a saga that played out between 2002 and 2005, where (SEIU) exploited a surreptitious process to export taxpayer money and send it into their bank accounts. They used a combination of political patronage, campaign donations, and executive orders to generate more than $11 million in new union dues. Governor Blagojevich rode to victory on the back of Big Labor and over $900,000 worth of SEIU dues in the form of campaign contributions. He then unilaterally granted organizational rights to politically favored service employees and placed them under the purview of the ACORN affiliate - SEIU, resulting in as much as a 33 percent increase in wages. The governor then issued a contract to the SEIU-backed companies totaling $140 million dollars of your money. He basically, unilaterally gave them a raise and then paid for it with your money! SEIU was thrilled because it made $450 million additional payroll dollars and an $11 million increase in SEIU dues. Given our state’s tragically well-deserved reputation for corruption, including the role of ACORN-affiliate SEIU in the Blagojevich scandal, we can’t afford to react slowly and foster the impression that Illinois will go on with corruption as usual in the face of overwhelming evidence that ACORN and it’s affiliates have engaged in nefarious activities. The Illinois State Board of Elections records shows since it began tracking contributions, SEIU has given over $12 million to Illinois political campaigns, on both sides of the Aisle. This includes the monies to disgraced former Governor Rod Blagojevich, and $30,750 to current Governor Patrick Quinn who not so surprisingly just authorized SEIU, thru an executive order, to unionize Home based service workers and received SEIU’s endorsement for his bid to be elected our next governor…does this sound strangely familiar???. Because of this continuing cycle of corruption, AFP-IL decided to launch our effort to put pressure on Governor Quinn to call for a real investigation into ACORN and its affiliates like SEIU. We want to know where our tax dollars are going and we want to put an end to the undue influences and unscrupulous behavior of special interest groups like ACORN and SEIU. Please, sign the petition to Governor Quinn at www.saynotoacorn.com and urge him to call for an investigation into ACORN and SEIU here in Illinois. Your help is the key to this and future efforts towards ending the culture of corruption in our great state.